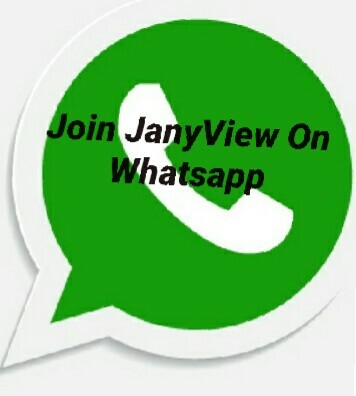 Few days ago, army officers in Enugu forced 3 Young Men on a bus to shave off their afro hair. 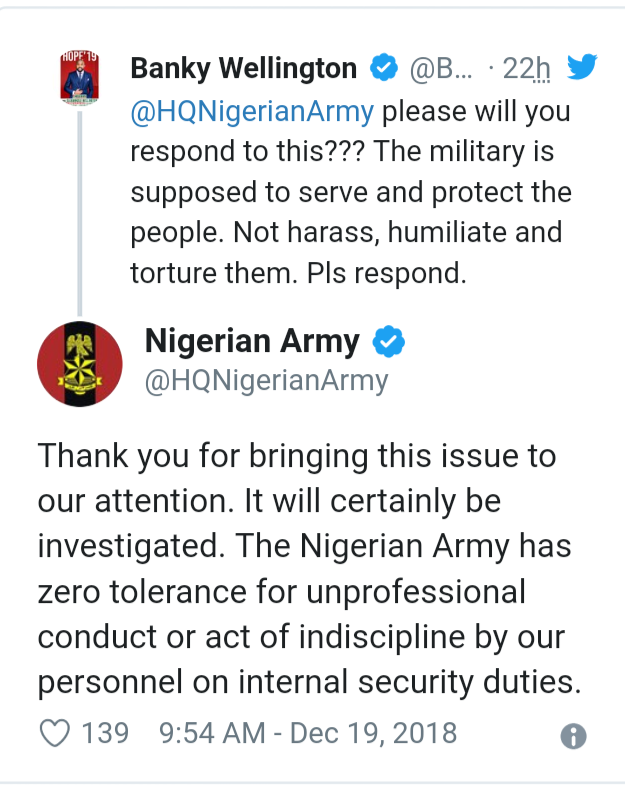 This sparked the interest of popular musician, Olubankole Wellington aka Banky W.
The singer took to Twitter to call on the defense headquarters to investigate the matter immediately. According to him, the job of the army is to serve and protect the people, not to harass and intimidate them. 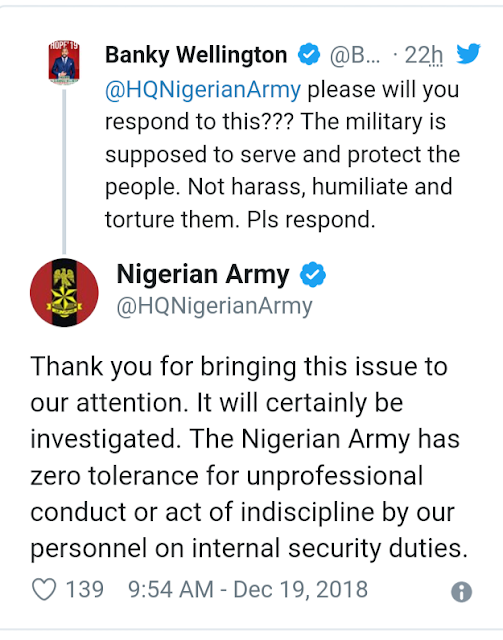 "@HQNigerianArmy please will you respond to this??? The military is supposed to serve and protect the people. Not harass, humiliate and torture them. Pls respond." The army in quick response to the singer, thanked him for bringing the matter to their notice, while promising to investigate the matter. The defense headquarters made it very clear that it doesn’t tolerate any act of misconduct and indiscipline from its personnel. 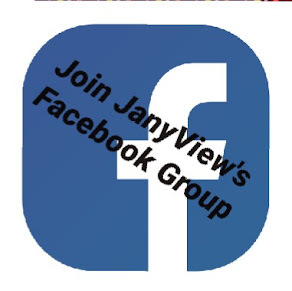 "Thank you for bringing this issue to our attention. It will certainly be investigated. The Nigerian Army has zero tolerance for unprofessional conduct or act of indiscipline by our personnel on internal security duties. — Nigerian Army (@HQNigerianArmy) December 19, 2018"